This quaint and comfortable 3 bedroom 1 bath Victory Heights hilltop home is seated along U.S. Hwy 322, located directly 5 minutes from Franklin or Seneca. Room to make it your own, however recent renovations included galvanized metal roof, natural gas furnace, windows, insulation and vinyl siding. Other features include hardwood floors throughout, a full basement with laundry room and canning cellar, blacktop driveway with privacy fence, a landscaped 30 foot above ground swimming pool, a few apple trees that attract a variery of wildlife year round and a yard that could be the envy of the neighborhood. French doors open to the 18x20 enclosed deck overlooking the pool and backyard, with a side ramp to an enclosed dog run. Minutes from The Allegheny River and Samuel Justus Recreational Trail for hiking, biking, boating and fishing. Directions: From downtown Franklin take route 322 across the bridge. The house is approximately 1 1/2 miles up the hill on the left side. I was searching for a Property and found this listing (MLS #1339155). 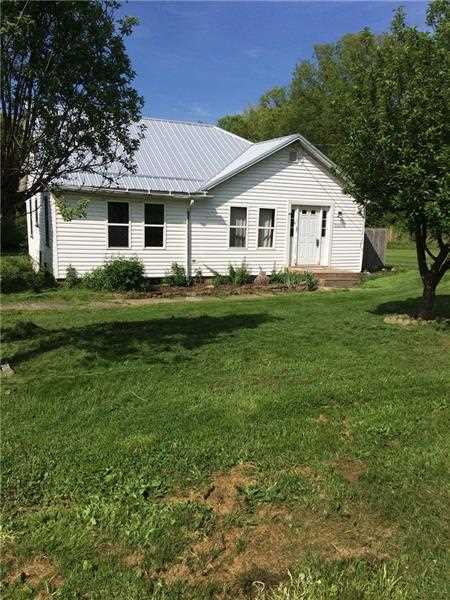 I would like to schedule a showing for 5529 Us 322 Franklin, PA 16323. Thank you! I was searching for a Property and found this listing (MLS #1339155). Please send me more information regarding 5529 Us 322 Franklin, PA 16323. Thank you! MLS # 1339155: This property at 5529 Us 322, Franklin, PA 16323 is located in the subdivision and is listed for $62,000. MLS # 1339155 has been on the market for 334 days.